At the turn of the millennium, the technology world was a far different place compared to today. Social networking didn’t exist, streaming video was a pipe dream, and collaboration took place during late nights at the office or on napkins at bars. Building a startup from the ground up is a difficult venture at any time, but today’s collaborative tools have opened the door to working together from pretty much anywhere in the world. 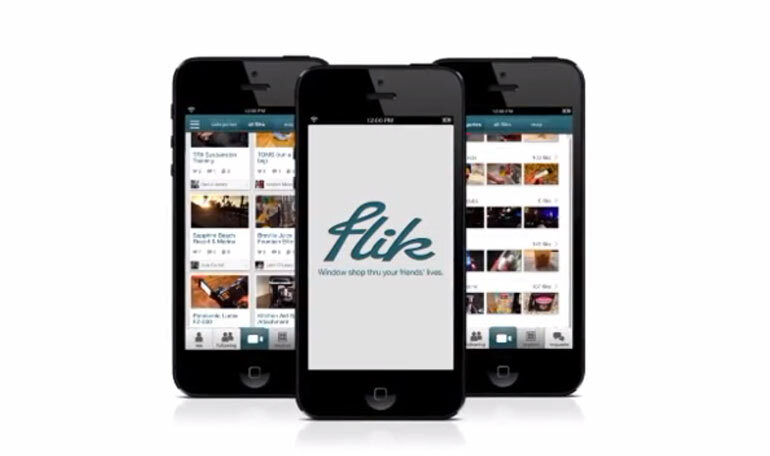 That’s how we had to build flik, our social media app. My wife Tracy and I co-founded flik together, and during the early days, we received plenty of advice regarding the right way to approach a startup. A lot of it came with wisdom applicable to any ground-up project, such as building a house: have a solid foundation, plan ahead, use the right materials, and so on. The problem was that my wife and co-founder Tracy and I lived a bit of gypsy lifestyle. Since we got married six years ago, we’ve moved 30 times, from city to city, region to region, and sometimes country to country. How can you build a startup when you don’t even have a house to call home? That’s where collaboration tools come in. Of course, technology is only as good as the people that use it, and our most valuable lesson over the years came from finding the right balance between technology and practicality. flik’s first eight people collaborated across six different cities, and while we faced some early communication hurdles, it was only a matter of time before we overcame the challenges of remote business. It took a little bit of trial and error, but with our communication challenges in the proverbial rearview mirror, we can focus on the task of making flik as successful as possible. Today, flik professionals are a team in the truest sense, except our diverse locations are now an advantage. With our focus on strong communication, we have one big advantage over our competition — not only do we collaborate with the efficiency of a local team, we also have the broader reach and exposure that comes exclusively with our collective locations. It’s simply the best of all worlds, and a situation that couldn’t have been possible without the right technology and the right people. Chris Hayes is the co-founder and CTO of flik, a social mobile app where users share products and places they love through short videos. Chris holds a BS in computer science & economics from Northwestern University, was a national chess champion at the age of 12, and is a submarine-pitching professional baseball player. Check out nibletz’ interview with Flik here. Dallas Startup Be Pawsitive, Buy One Give One For Dogs! Where’s the how? Am I missing the second page? How did you establish the communicational culture? Did you use special tools for it?